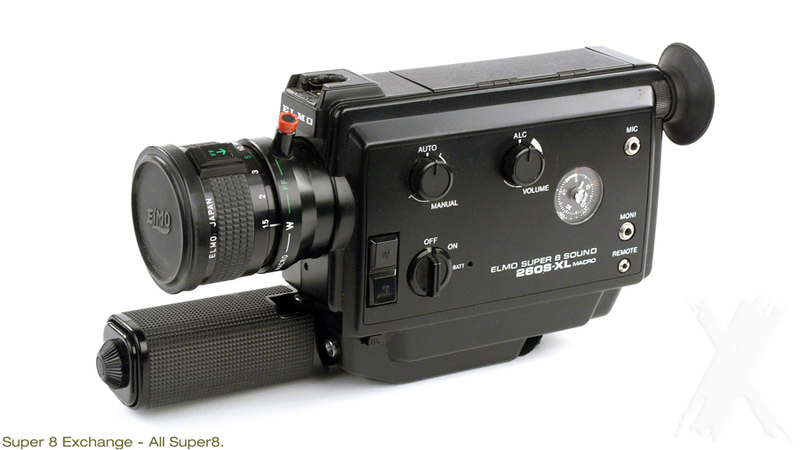 A truly unique camera with one of the most advanced specifications of any Super 8mm film camera available at that time. This Elmo has several features found in no other camera. 7-Times zoom lens, power driven or manual, the choice is yours. Ultra close-up facility by depressing a red button on the lens barrel a secondary focusing system into use allowing macro-focusing down to the front lens element. Finally, it will accept the 60m Super 8 cartidge: If you find it. A camera of outstanding design which set new standards in value.